Melt the yeast in the tepid milk, and work it together with the flour - then add the salt, grated cheese and the olive oil. At first, the dough will be very soft and needs to be worked until it becomes elastic and smooth. Leave it to rise at room temperature under a cloth for two hours. When it has doubled in volume, roll into a rectangular shape, and cover with the cured meat slices, ham and slices of the soft cheese. 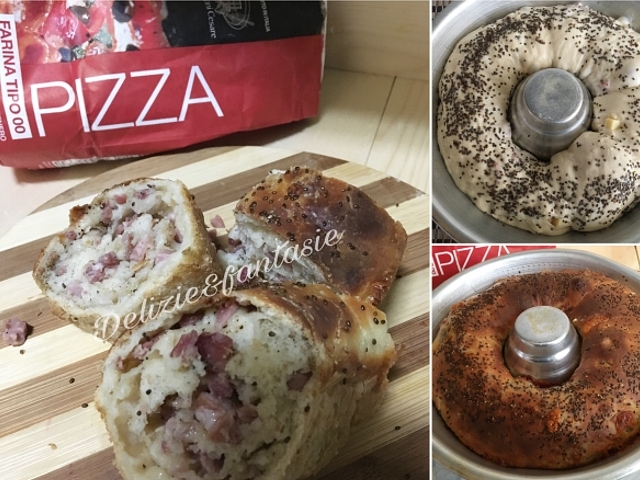 Fold the dough back over on itself, brush the surface with some oil, and place into a greased ciambella mould: scatter some chia seeds and pepper on top if you wish. Cover with a cloth, and leave to rise for a second time, rolled in a tea-towel. 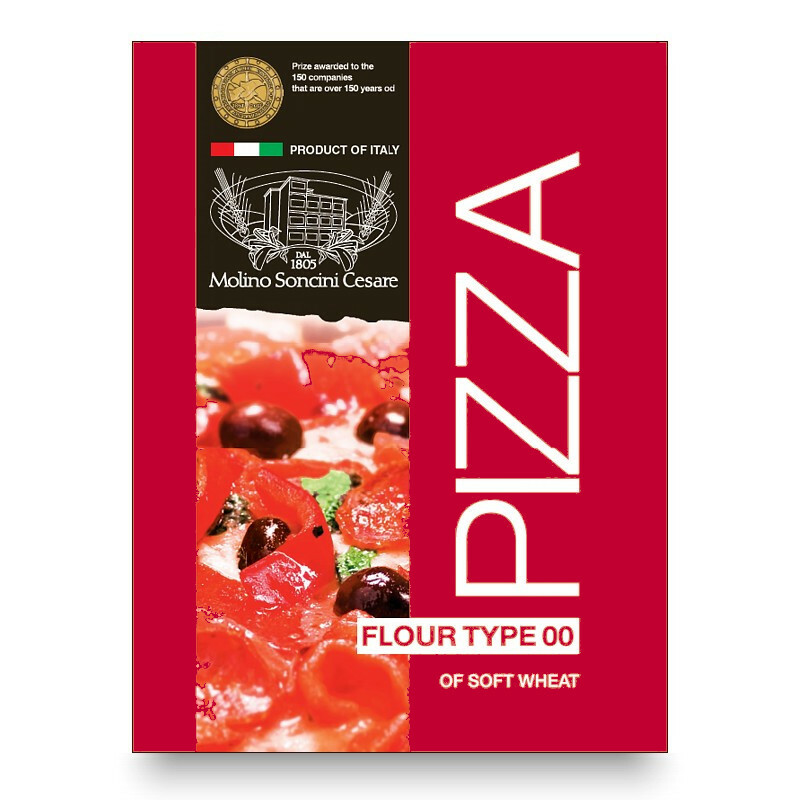 When the dough has risen to the edge of the mould, bake in a pre-heated oven at 200°C. Check that it is fully cooked by sticking a toothpick into the middle - it should come out dry. Remove from the mould, and serve tepid (although it is also excellent cold).